Around 900 students, two-thirds of them full-time, attend Garrett in credit-bearing programs. Minority students make up more than 15% of the population, and 2% are international students. Nearly 4,000 other individuals pursue non-credit workforce training and continuing education each year. All students are encouraged to apply for financial aid. Students at Garrett County high schools and GED completers are eligible for a Garrett County Scholarship in the year of their graduation that ensures full tuition payment for college study or workforce training. Special tuition rates are available for students from West Virginia and elsewhere in Maryland who enroll in designated degree programs. The College awards Appalachian, international and Presidential scholarships to qualifying students. Garrett Foundation Scholarships are awarded on a competitive basis. Garrett's NJCAA Division II teams (men's and women's basketball, women's volleyball and men's baseball) also award athletic scholarships. 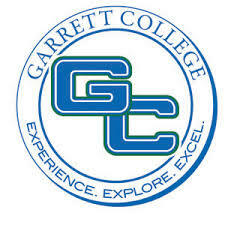 All who work and learn at Garrett College contribute to its mission "to provide accessible, quality education in a supportive environment to a diverse student population...to meet the transfer, career, workforce development and lifelong learning needs of our students and the community." The College is accredited by the Middle States Commission on Higher Education and is approved by the Maryland Higher Education Commission.